The Crossroads Project confronts a planet under siege and a future in peril – inspiring audiences to change the course. The Crossroads Project fuses original music with art, imagery, and science to create live performance experiences that address global sustainability and provide a path toward meaningful response. "Call it eco-art – multimedia works that focus on the Earth’s gifts and support the sustainability of the planet. Together, their balance, blend and rhythmic cohesion work beautifully [to] manage both tension and humor in the most natural way..."
"Arts to stir hearts – performance art and performance science..."
"A performance piece that draws on music, painting, photography and scientific research to entertain, enlighten and, ultimately, encourage people to live sustainably." "Dr. Davies is part poet, part NASA scientist – a most persuasive communicator on climate change, energy, and sustainability." "The border between the built and the natural shifted, creating a sense of wonder..."
The Crossroads Project is the collective effort of a scientist and a community of artists who are committed to moving our world toward a sustainable, just, vibrant future. 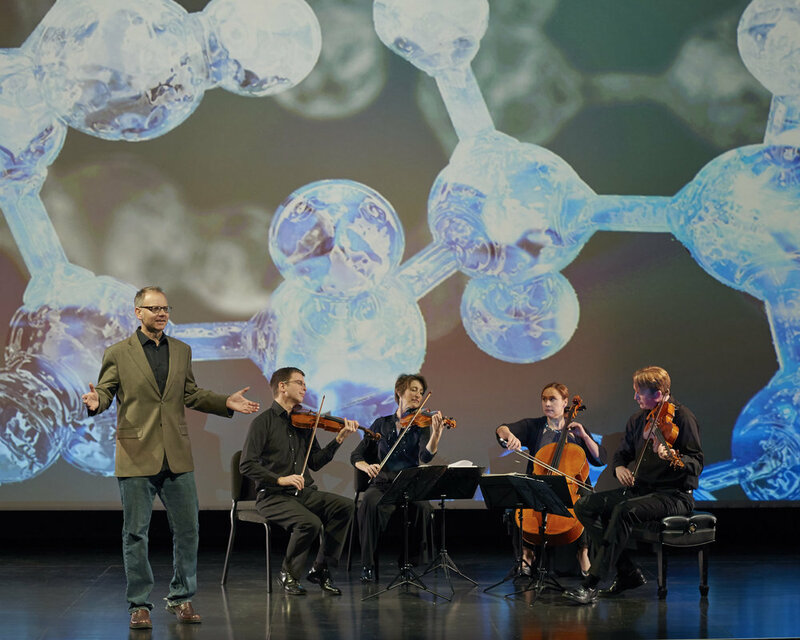 Crossroads is powerful storytelling – grounded in science, elevated by art – igniting informed response through live performance and shared experience. At the dawn of the 21st century, humanity has arrived at an extraordinary Crossroads - a time and place where scientific ability to identify unprecedented risk intersects a societal inability to respond. Little of humanity's course, as currently imagined, is sustainable - not our energy, not our economy, not our environment. But there is more to the scientific message: we are possessed of the knowledge we need to chart a new course, and a tide is rising.